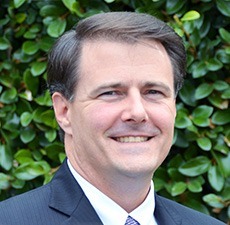 Rick Brooks is a CFA® Charterholder and Certified Financial Planner® practitioner, and brings more than 20 years of experience in financial services to Blankinship & Foster. Rick is one of three Principals and Owners at Blankinship & Foster, primarily responsible for the management of client relationships and the firm’s portfolio management and investment analytics. For the last 15 years Rick has specialized in portfolio management, financial, tax, and estate planning issues for clients from all walks of life. Prior to joining Blankinship & Foster, Rick worked as a Financial Advisor for Wheeler|Frost Associates, Inc., where he specialized in client portfolio management and retirement plan set up and administration. Rick is licensed to use the Certified Financial Planner (CFP®) mark by the Certified Financial Planner Board of Standards and has earned the designation of Chartered Financial Analyst (CFA) awarded by the CFA Institute. He holds an MBA from San Diego State University, and a Bachelor’s Degree from Duke University. Rick served in the United States Navy for 6½ years, completing his service as a Lieutenant. Since 2011, Rick has served on the Board of Directors of Girl Scouts San Diego, serving as Vice Chair from 2013-2014 and Chair from 2015 to 2017. He has also chaired their Investment Committee and served on the Executive and Finance Committees during his time on the board. Rick is a past President of the CFA Society of San Diego and served on its Board of Directors in various capacities from 2001 to 2009. Rick is a member of the CFA Institute, National Association of Personal Financial Advisors (NAPFA), Financial Planning Association (FPA) and the Estate Planning Council of San Diego. Rick and his wife Roseanne live in Mission Hills with their three children. When he’s not thinking about investments, Rick enjoys spending time with his family, theater, cooking, skiing, travelling and reading.